…and inviting more of the same from Spotify today! Seems to be the flavor of the month app right now. *grumble* Just wait’ll I release the NEW one, I’ll show ’em. I’ll show ALL OF THEM!! 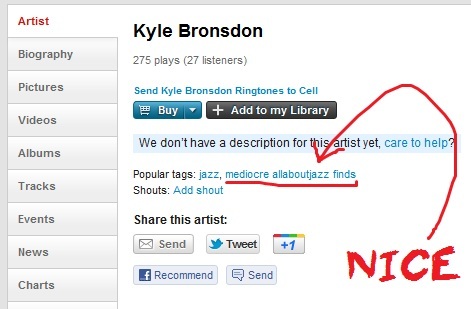 Hey, did I mention that the entire mediocre Kyle Bronsdon catalog is on Google Music/Android Market now?